Why rent an apartment in Somerset, NJ? Living in a Somerset, NJ apartment offers a combination of rural farmlands and the urban edge of New Brunswick. Young professionals are attracted to mature suburban neighborhoods, large business centers, and easy commuting options. Somerset is a diverse community with varied housing. Easy access to I-287: For many residents, the short drive up Easton Avenue to I-287 makes it a cinch to reach a collection of large employers in nearby towns of Branchburg, Bridgewater, Piscataway and Metuchen. You can even drive from your apartment in Somerset, NJ all the way to Manhattan in about one hour! Nearby major employers: Some renters are fortunate to work right within Somerset’s borders with a large business park along Davidson Avenue where dozens of companies make their home. Catalent, In Ventiv Health and Philips Lighting are a few large employers in Somerset. Close to New Brunswick: A short drive in the opposite direction will land you in downtown New Brunswick where you can find two hospitals, Rutgers University, and Johnson & Johnson. You might head this way during your free time to attend a theatrical performance, enjoy a laugh at a comedy club or eclectic dining. Extensive parklands: One reason many residents choose Somerset apartments is the wide-ranging parks and recreation activities. If you live along DeMott Lane or JFK Boulevard a paved bike path is ready for a morning jog or walk. The D&R Canal Trail allows a more serene setting between the river and canal. Make your way to Colonial Park for paddle boating, mini-golf, fishing or the rose garden. Somerset apartment residents also have two golf courses nearby. While some renters would prefer the simplicity of a Somerset apartment for rent, others seek the virtues of a home rental. Somerset presents an array of housing types from older ranch and colonial homes to townhomes and condos. You can expect frequent rentals throughout the community generally priced from $1,500 - $2,500 per month for a 2-3 bedroom home. Quailbrook – a huge development of condos and townhomes along DeMott Lane. Somerset Gate - a newer luxury gated community of town homes located just off the Route 27 corridor. Somerset Glen – nearly 200 luxury 3-bedroom townhomes on the southwestern edge of Franklin Township. Kingsberry Acres – 40 acres of two-story, 2- bedroom townhomes. History buffs can explore the Van Wickle Garden or Rockingham, Washington’s Headquarters. Chill out on a hot day canoeing along the Millstone River. When you need to get away from your Somerset apartment for a while The Soho Lounge & Grill at Clarion Hotel has frequent dancing and bands. This is not a shopper’s paradise but your Somerset, NJ apartment will be near just the right stores and services. Choose between Shop Rite and Stop N Shop for groceries. Kmart is convenient for home basics such as storage bins or cleaning supplies. A pharmacy, dry cleaners and Office Depot are all nearby. You will only have to drive a few minutes up I-287 to reach the Bridgewater Promenade for more expansive shopping. Somerset is a community within Franklin Township that is bordered by the Raritan River, Millstone River, and Route 27. There are several distinct sections of Somerset that that will appeal to different types of renters. Eastern Somerset– This area is on the border with the city of New Brunswick. You will find mostly older (1960’s), single family homes along quiet streets. There are also several large apartment communities. Central Somerset– The Town Center area includes many larger 3-4 bedroom homes, a few apartment communities along the main roads, and a good selection of town homes. This neighborhood includes most of the schools, the library, municipal complex, senior center and extensive bike paths. Families might find this section appealing. Zarephath – The northern part of Somerset is the business center of the town. This area is great for commuters who want access to I-287 or a short drive to many offices within Somerset. The neighborhood includes the high school, the convention center, several hotels and a newer retail area. There are newer home developments and some senior housing here. Two luxury apartment communities are found on this side of Somerset. East Millstone– If you want to live in the country, look for an apartment in the East Millstone/Blackwells Mills area. Apartment choices here are few but you’ll get lots of farms and open spaces. Franklin Park– The highest concentration of apartment communities can be found in the Franklin Park section of Somerset, NJ. This location is ideal for those commuting to New Brunswick, but also provides decent access to the Jersey Avenue train station as well as Princeton to the south. Somerset Diner – This steadfast eatery has been around for decades and is open around the clock. Seniors and Rutgers students can get 10% off meals with an id card. The central location here provides quick access to many neighboring towns, shops, entertainment and employers. Somerset apartments are a great option if you plan to spend much of your time in the adjoining city of New Brunswick. 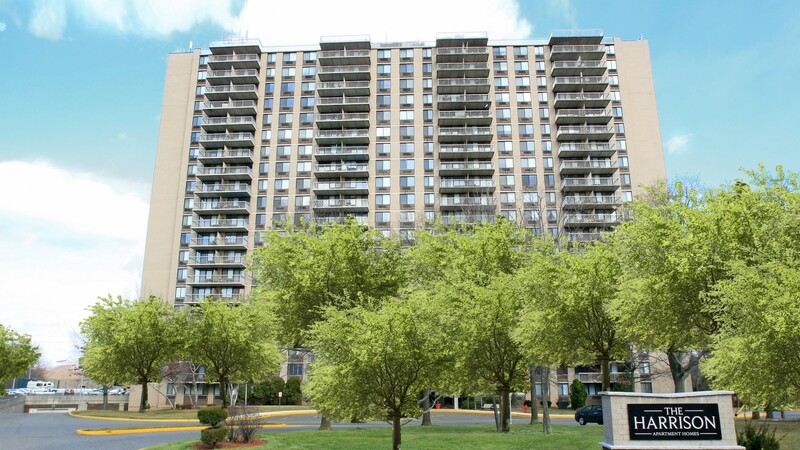 Somerset, New Jersey has a lot to offer and RentalsOnline.com can help you choose just the right Somerset apartment.